The Central Boston Elder Services Board of Directors has announced the appointment of Dorchester resident Michael A. Vance as its new Chief Executive Officer. A Mattapan native, Vance joined ABCD as an Assistant Director at the Mattapan Family Service Center in 1993. He was soon promoted to ABCD Director of Field Operations. In 1999, he became Vice President of Field Operations, responsible for 14-17 Boston neighborhood sites, supervising directors and operations managers. A graduate of Noble & Greenough School in Dedham, Vance earned a bachelor’s degree in psychology at Tufts University and a master’s in management at Lesley University. 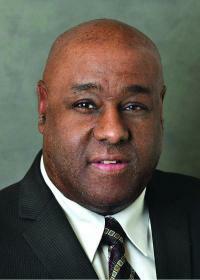 He serves on more than a dozen community and corporate boards.